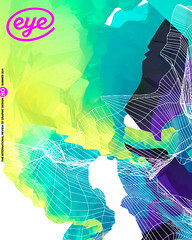 Eye Magazine | Review | Making history? Or writing about it? Graphic design is such a pervasive part of everyday life it could easily be characterised as visual white noise. So how do you write about it? Histories by historiographers, by participants, by practitioners, by custodians of the canon, by curators; histories of heroes of design, histories of those obscured by war, ideology and politics … all have value. All establish discourses through which graphic design can be interrogated, and its means and mechanisms exposed, with various degrees of effectiveness. They demonstrate how graphic design histories are not just written but constructed, framed and received. To investigate the history of a history and to discern the establishment of a disciplinary field at a particular time is revealing. Design history in the UK emerged from the newfound confidence of the polytechnic sector (now the post-1992 universities) during the late 1970s. Encouraged by the need to provide historically and theoretically grounded conceptual frameworks for practical disciplines, the history of graphic design collided social awareness with historical knowledge. Catherine de Smet (co-organiser of the conference, with Sara De Bondt, see ‘A certain smile’, this issue) re-enlivened its possibilities by conducting an archaeology of its origins in the beginnings of art history through Alois Riegl and Heinrich Wölfflin, to throw down an effective challenge to both the cult of personality and the classification of style as a historical method. Using the contrasting examples of Alfred H. Barr’s flowchart of Modernism and the remarkable work of Jean-Claude Lebensztejn, De Smet also demonstrated the role of the graphic imagination in the realisation of history. But that is another story. David Reinfurt of O-R-G inc took us to places where historians rarely go, through an aspect of his practice derived from the mathematical typography of the computer pioneer Donald Knuth. Knuth’s 1979 MetaFont program mimics the intelligence and the decision-making processes behind typographical design rather than the literal form of the characters themselves. A large proportion of graphic design writing appears in elaborately illustrated monographs. Christopher Burke spoke about his own rather more sober and carefully researched approach, and how, through concentrating on the work, the self-mythologising of Jan Tschichold and Otto Neurath, for example, can be subjected to critical examination. Rick Poynor interrogated curatorial practices as a three-dimensional spatial interpretation capable of creating and establishing connections, ‘layered like a magazine spread’. Simultaneously, he established a defence of the ‘white cube’ and the realism of accepting easily graspable narratives as a necessity in the task of communication – a thought that raised questions about student, professional and general publics and whom the writer is hoping to entice and inform. Sonia de Puineuf urged a cross-disciplinary approach within design history, to embrace figures such as Zdenek Rossmann, a Bauhaus-trained Czech architect and designer whose work was wilfully obscured by the Nazis and then by the Communists and who, along with many other central European designers, had been eliminated from the Modernist canon through the impact of the division of Europe and the Cold War. Alston W. Purvis then took us through the vagaries, vicissitudes and joys of producing the fifth and probably final edition of Meggs’ History of Graphic Design. One of the many interesting points he made concerned the negative impact of the cost of reproduction rights on the writing of history in affirmation of the fact that the exclusivities of canonical histories cut in more than one direction. Aside from observations concerning the academy and the profession, questions regarding the currency and legitimacy of graphic design and its narratives in the wider culture and by what structural and institutional mechanisms it is able to communicate at all were left in large part unexamined. A delegate at the back of the hall attempted to skew the discussion away from canonical high design and towards low commerce without a great deal of success. It was an important point precisely because it is in these unregarded areas that design is at its most potent and ideologically loaded. It is here the writer with a critical eye might find a rich vein for exploration: sweet wrappers and the covers of airport novels contain a lot more than sugar and salacious narratives. History is out of reach but its surviving artefacts remain within grasp. This fact seemed to lead to the delusory assumption that direct experience and the effect that objects have upon us are of themselves historical, rather than the individual, ideologically and experientially determined poetic interpretations that they are. This may be the point where history finds the power to draw us in and to trigger our imaginations. But it is only the start of a long path that leads not to what artefacts mean but to how they mean. They are, as it were, the inscriptions of the power structures that configure our experience of graphic design and its writing both in the past and in the present. Overall, the conference exposed some important issues. Given the failures of orthodox histories to embrace the countries of the former communist bloc and the rather hasty inclusion of China, for example, into the canon, a thorough-going revisionist history of graphic design would certainly seem to be long overdue. Questions of western Eurocentrism, audiences, authenticity, value and ethics were explicitly addressed. Implicitly, the event exposed a field not always well understood by its inhabitants. It left unresolved the differences between ‘history’ and ‘writing’ and betrayed a sense of unease with the existing state of the literature about graphic design, and what may or may not be the independent discipline of its histories.